DR. MAYA ANGELOU was an iconic American writer, poet, actor, dancer, director, composer, lecturer and one of the most renowned and influential voices of our time. CAGED BIRD SONGS is a unique musical collaboration produced by RoccStar and Shawn Rivera, that thoughtfully blends the iconic poet's words with contemporary hip-hop. Dr. Angelou's grandson, Colin, reminisces that music was such a huge part of his grandmother's life. "She loved everything, from pop to country and, of course, hip-hop. With her dedication to social activism and how she illuminated the struggles and injustices of the urban experience through prose, there's a direct correlation to hip-hop today. She was really excited about her street-wise commentary being presented in this way." In minor ways we differ, in major we're the same. But we are more alike, my friend, than we are unalike. In diversity, there is beauty and there is strength. Both feet flat, the game is done. They think I lost, I think I won. Dr. Maya Angelou was one of the most renowned and influential voices of our time. Hailed as a global renaissance woman, Dr. Angelou is a celebrated poet, memoirist, novelist, educator, dramatist, producer, actress, historian, filmmaker, and civil rights activist. 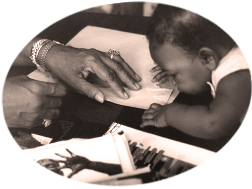 Dr. Angelou was born Marguerite Annie Johnson on April 4th, 1928, in St. Louis, Missouri. Her parents divorced when she was only three and she was sent with her brother Bailey to live with their grandmother in the small town of Stamps, Arkansas. In Stamps, the young girl experienced the racial discrimination that was the legally enforced way of life in the American South, but she also absorbed the deep religious faith and old fashioned courtesy of traditional African American life. She credits her grandmother and her extended family with instilling in her the values that informed her later life and career. She enjoyed a close relationship with her brother. Unable to pronounce her name because of a stutter, Bailey called her "My" for "My Sister." A few years later, when he read a book about the Maya Indians, he began to call her "Maya," and the name stuck. At age seven, while visiting her mother in Chicago, she was sexually molested by her mother's boyfriend. Too ashamed to tell any of the adults in her life, she confided in her brother. When she later heard the news that an uncle had killed her attacker, she felt that her words had killed the man. She left home at 16 and took on the difficult life of a single mother, supporting herself and her son by working as a waitress and cook, but she had not given up on her talents for music, dance, performance and poetry. In 1952, she married a Greek sailor named Anastasios Angelopulos. When she began her career as a nightclub singer, she took the professional name Maya Angelou, combining her childhood nickname with a form of her husband's name. Although the marriage did not last, her performing career flourished. 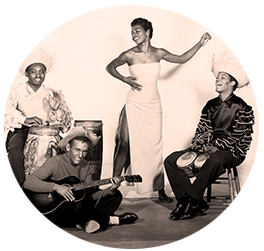 She toured Europe with a production of the opera Porgy and Bess in 1954 and 1955. She studied modern dance with Martha Graham, danced with Alvin Ailey on television variety shows and recorded her first record album, Calypso Lady (1957). She had composed song lyrics and poems for many years, and by the end of the 1950s was increasingly interested in developing her skills as a writer. She moved to New York, where she joined the Harlem Writers Guild and took her place among the growing number of young black writers and artists associated with the Civil Rights Movement. She acted in the historic Off-Broadway production of Jean Genet's The Blacks and wrote and performed a Cabaret for Freedom with the actor and comedian Godfrey Cambridge. In New York, she fell in love with the South African civil rights activist Vusumzi Make and in 1960, the couple moved, with Angelou's son, to Cairo, Egypt. In Cairo, Angelou served as editor of the English language weekly The Arab Observer. Angelou and Guy later moved to Ghana, where she joined a thriving group of African American expatriates. She served as an instructor and assistant administrator at the University of Ghana's School of Music and Drama, worked as feature editor for The African Review and wrote for The Ghanaian Times and the Ghanaian Broadcasting Company. During her years abroad, she read and studied voraciously, mastering French, Spanish, Italian, Arabic and the West African language Fanti. She met with the American dissident leader Malcolm X in his visits to Ghana, and corresponded with him as his thinking evolved from the racially polarized thinking of his youth to the more inclusive vision of his maturity. Maya Angelou returned to America in 1964, with the intention of helping Malcolm X build his new Organization of African American Unity. Shortly after her arrival in the United States, Malcolm X was assassinated, and his plans for a new organization died with him. Angelou involved herself in television production and remained active in the Civil Rights Movement, working more closely with Dr. Martin Luther King, Jr., who requested that Angelou serve as Northern Coordinator for the 6 Southern Christian Leadership Conference. His assassination, falling on her birthday in 1968, left her devastated. With the guidance of her friend, the novelist James Baldwin, she found solace in writing, and began work on the book that would become I Know Why the Caged Bird Sings. The book tells the story of her life from her childhood in Arkansas to the birth of her child. I Know Why the Caged Bird Sings was published in 1970 to widespread critical acclaim and enormous popular success. 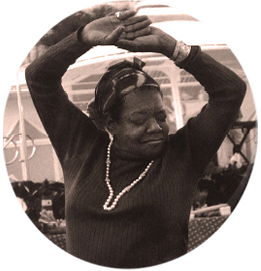 Seemingly overnight, Angelou became a national figure. In the following years, books of her verse and the subsequent volumes of her autobiographical narrative won her a huge international audience. She was increasingly in demand as a teacher and lecturer and continued to explore dramatic forms as well. She wrote the screenplay and composed the score for the film Georgia, Georgia (1972). Her screenplay, the first by an African American woman ever to be filmed, was nominated for a Pulitzer Prize. 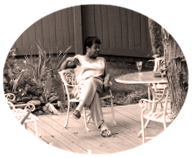 Angelou has been invited by successive Presidents of the United States to serve in various capacities. President Ford appointed her to the American Revolution Bicentennial Commission and President Carter invited her to serve on the Presidential Commission for the International Year of the Woman. President Clinton requested that she compose a poem to read at his inauguration in 1993. 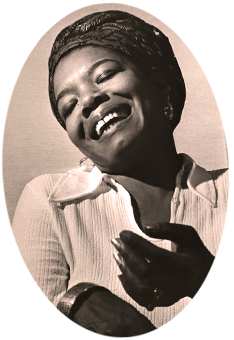 Angelou's reading of her poem "On the Pulse of the Morning" was broadcast live around the world. 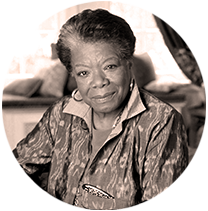 Since 1981, Angelou has served as Reynolds Professor of American Studies at Wake Forest University in Winston-Salem, North Carolina. She has continued to appear on television and in films including Poetic Justice (1993) and the landmark television adaptation of Roots (1977). She has directed numerous dramatic and documentary programs on television and directed her first feature film, Down in the Delta, in 1996. The list of her published works now includes more than 30 titles. These include numerous volumes of verse, beginning with Just Give Me a Cool Drink of Water 'Fore I Die (1971). Books of her stories and essays include Wouldn't Take Nothing For My Journey Now (1993) and Even the Stars Look Lonesome (1997). She has continued the compelling narrative of her life in the books Gather Together in My Name (1974), Singin' and Swingin' and Getting' Merry Like Christmas (1976), The Heart of a Woman (1981), All God's Children Need Traveling Shoes (1987) and A Song Flung Up to Heaven (2002). In 2000, Dr. Angelou was honored with the Presidential Medal of the Arts; she received the Ford's Theatre Lincoln Medal in 2008. The same year, she narrated the award-winning documentary film The Black Candle and published a book of guidance for young women, Letter to My Daughter. In 2011, President Barack Obama awarded her the nation's highest civilian honor, the Presidential Medal of Freedom. Maya Angelou participated in a series of live broadcasts for Achievement Television in 1991, 1994 and 1997, taking questions submitted by students from across the United States. 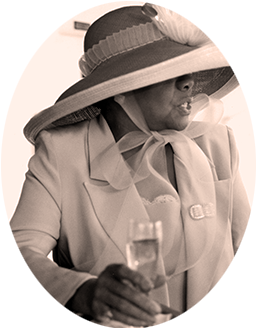 Dr. Angelou has received over 30 honorary degrees and has received 3 Grammy Awards. Her words and actions continue to stir our souls, energize our bodies, liberate our minds, and heal our hearts. The latest chapter in Dr. Angelou's legendary career involves a collaboration with Shawn Rivera and Smooch Music, Inc. 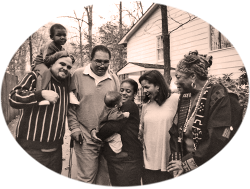 This strategic alliance has resulted in the merging of Dr. Angelou's powerful and iconic poetic words with contemporary music, in a way that Dr. Angelou has never been heard before. The result: Caged Bird Songs, a revolutionary album that combines the lyrics and recorded vocal performances of Dr. Angelou with modern day Hip-Hop productions and melodies, creating a very compelling, inspiring and unique body of work. Dr. Angelou's original spoken word recordings were made while struggling to survive on the streets of Harlem during the 1950's, encompassing rebellious, street-wise commentary on inner-city circumstance and capturing her braggadocios flair for colloquial slang. The lyrical content, underlying social context, and intentionally persuasive delivery of Dr. Angelou's early work bears a striking resemblance to the sound of current Hip-Hop chart toppers and proves to be relevant with the issues and hardships of today's youth. Caged Bird Songs embodies the timeless messages of hope and equality, two universal themes that will allow a whole new generation to be inspired, moved, motivated, and exposed to the wisdom and social insight of Dr. Maya Angelou, America's Renaissance Woman and Original Godmother of Hip-Hop! © 2014 Smooch Music, Inc. All rights reserved. Photo credits: Courtesy of Everett Collection; and © 1969 Chester Higgins Jr. All Rights Reserved.